The telecom world is evolving. Digital transformation is changing consumer habits and regulators must ensure an equitable telecom environment that responds to the needs of consumers and other stakeholders. It is thus essential for Caribbean regulators to understand current regulatory issues and approaches for dealing with those issues. Neotelis' 5-day Workshop provides a unique opportunity for regulators to acquire regional best practices in telecom regulation while sharing knowledge and experiences with other regulators in the region. 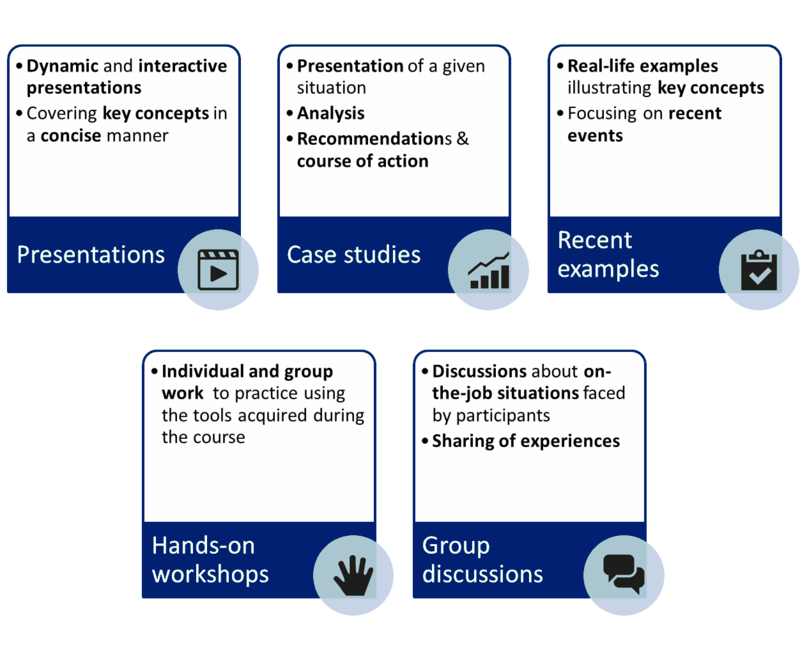 The Workshop combines dynamic presentations with interactive activities such as Case Studies, Workshops on real-life situations faced by the participants and Sessions dedicated to sharing of experiences on key topics. Workshop: Roaming within the Caribbean – should it be a regulatory priority? Workshop: Video streaming - Cost or opportunity?